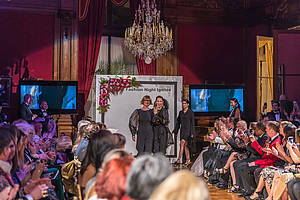 Fashion Designer Maja Štamol presents her collection in Washington DC at the "Fashion Night Ignites - Secret Language of Diplomacy"
The Embassy of the Republic of Slovenia in Washington, together with the embassies of the Czech Republic and Malta, organized a fashion show "Fashion Night Ignites - The Secret Language of Diplomacy" on Saturday, March 23, 2019. Slovenia was represented by fashion designer Maja Štamol. The main organizers of the event were the spouses of ambassadors, including the wife of the Slovene Ambassador Mrs. Ljiljana Vidovič. 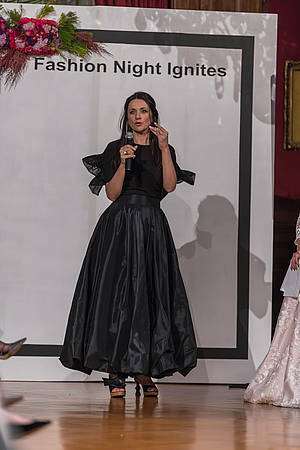 The fashion show set a goal to connect diplomacy and different cultures through forms of fashion expression and to showcase it to high-profile guests from the US politics, administration, business and social life. 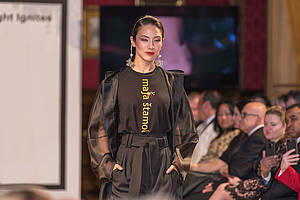 Maja Štamol opened the fashion show with her latest collection, where she received special praise for the creativity and functionality of the presented pieces of clothing. Visitors were also impressed by her fashion accessories and shoes made from Slovenian wood and leather. Malta was represented by Charles & Ron and Czech Republic by Poner siblings. The US represented the Burnett design house from New York and Dur Doux from Washington DC. 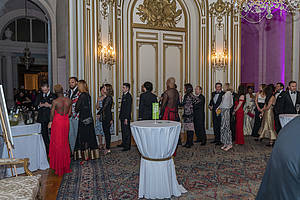 After the show, the spectators enjoyed the reception with offerings that could otherwise only be served in the capitals of represented countries. 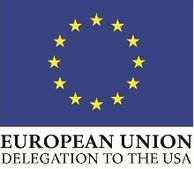 The Slovene Embassy presented the national culinary experience and wines of Brda region by Laureate Wines. A special surprise was the Chilli Wine, which was personally presented by its producer Matic Vizjak. Guests were also given tourist information and honey-based cosmetics by Medex. The event was covered by the key US media from the world of fashion, as well as newspapers such as Washington Post.